It’s not often I’ll write a blog post about just one product but once in a while, I get to try out something so wonderful that I feel it merits its own feature. 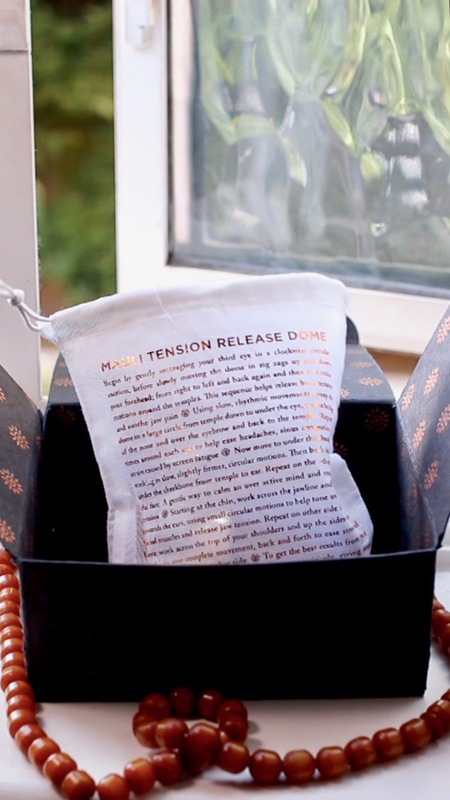 The Mauli Tension Release Massage Dome is one of these wonder products. After using it for a facial massage just once, I was hooked on the results – both physical and mental. 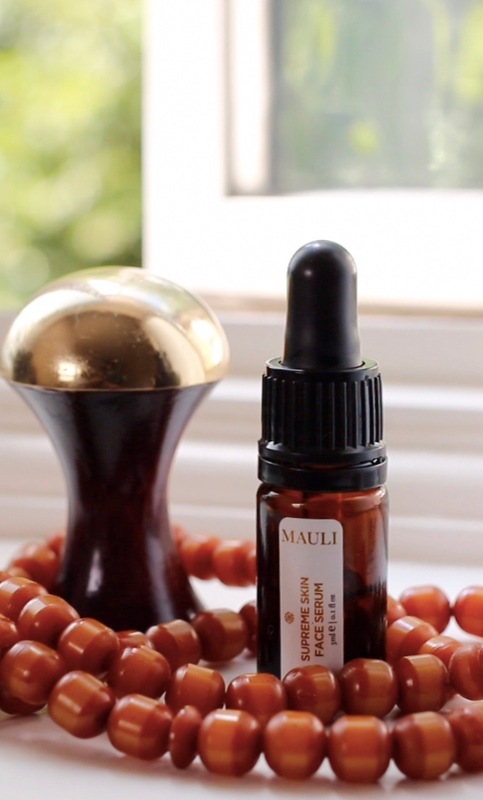 The Mauli Tension Release Massage Dome is a cute little facial massage tool; the base (handle) is made of solid, polished wood but the magic is in metals. The dome’s surface used for the massage is covered in what the Indian Ayurvedic sages deem to be the most healing combination of mineral-rich metals (virgin copper, zinc and a trace of tin) that react with and draw out the acidity in the skin (more on that later). 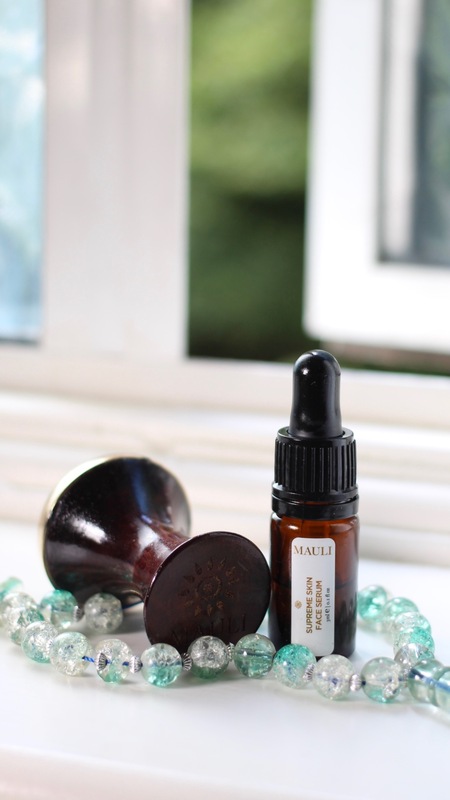 Mauli’s little massage dome is perfect for a tension-releasing, sculpting and smoothing facial massage, activating the face’s Marma points. No, I’d never heard of these either, but now that I have, I’m obsessed with finding out more. Marma in Sanskrit refers to the sensitive, secret energy points of the face (and body) located over the lymph node, joints and chakras, and, (importantly for me), the body’s major endocrine glands. By gently massaging these points with the Tension Release Dome, it can activate these energy points more efficiently than without, resulting in glowing, radiant, and in my case, very toned feeling and looking skin. 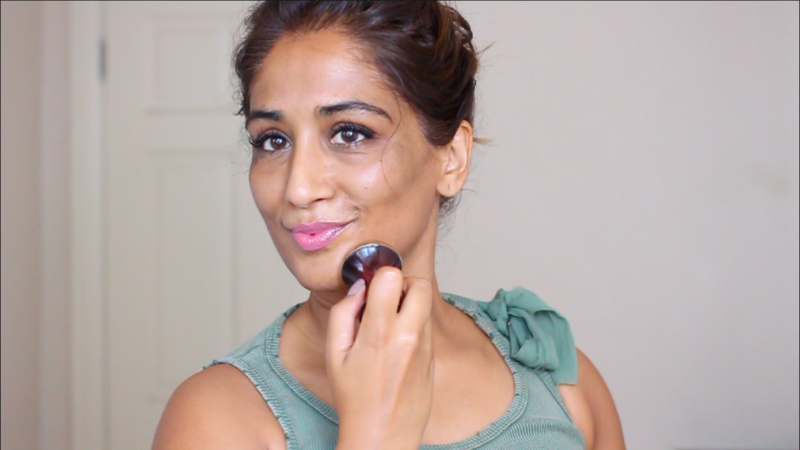 The easiest way to to show it to you is to show it to you, so I filmed myself using it. 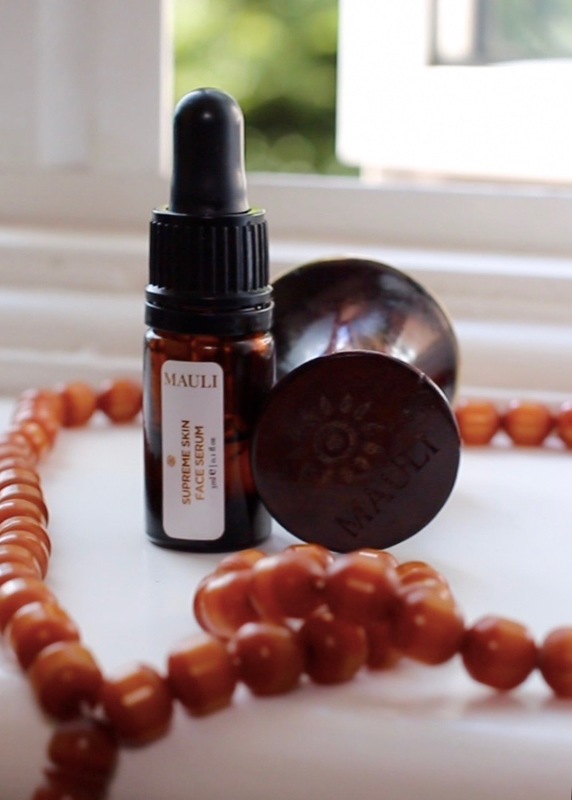 [[ CLICK HERE TO SEE ]] The Dome comes with a little phial of Mauli’s Supreme Skin Face Serum – a delicious-smelling lightweight oil serum made up of antioxidant-rich oils including argan, sweet almond, calendula, moringa, blackseed and watermelon seed, blended with sweet blood orange, geranium, jasmine sambac, patchouli, Mysore sandalwood, rose absolute, rose otto, and others. Just five drops was enough to massage my whole face and neck. Look out for the oil turning greyish black on my face as I massage – that’s the pure tri-mineral metals reacting with the acidity in the skin, which it is drawing out, and it’s easily wiped away. I’ve only used it a few times, but already I can feel the benefits and I really look forward to using it as part of my daily skincare routine. I can literally feel the tension being massaged away, especially around the temples and my jawline, where I know I can feel tense. Other benefits of massaging with the Dome include an increase in lymph circulation, a release of toxins, collagen and elastin stimulation, releasing blocked sinus congestion, an increase of blood flow to the skin and a reduction in puffiness, fine lines and inflammation. There’s also a larger Dome available for body massage, which I’d definitely get too, if I thought I could get anyone at home (aka the husband) to do for me… wishful thinking! Click HERE to watch the video in full over on my YouTube channel (and don’t forget to subscribe for more videos).